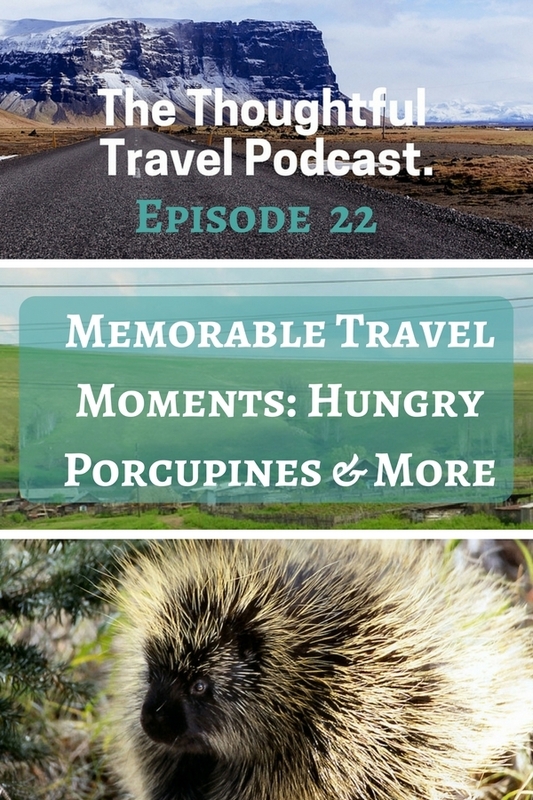 I recently started asking my guests to tell me about their craziest travel moments. Really, what I was looking for was those particularly memorable experiences that stick with you forever – the kind of stories you tell over and over. The three guests in this episode all have fascinating stories to tell of memorable things which happened to them in various spots across the world. First up is Jeff Ryan, author of the new book Appalachian Odyssey: A 28 Year Hike on America’s Trail. Jeff had a particularly interesting mishap on the trail involving a porcupine. Finally, Tom Parson of The Lego Backpacker reminisces with me about his experiences on the grand railways of Russia. Tom took the Trans-Mongolian route while I took the Trans-Siberian, but we both got to meet some fascinating Russians. Lovely episode and subject matter. So much fun! Thanks Jeff and I’m still laughing about your porcupine story!! I loved this story abut the porcupine! No one can better it! ………. Ending up ‘nowhere’ in Croatia sounds just perfect – if totally scary! … And being able to say one has talked art and downed Vodka with Russians on a train in the back sticks of nowhere (to an Aussie!) is all part of a dream come true…. oh that travel bug is gnawing away! Oh Susan, I’m so happy we could accompanying you on your weeding afternoon! And I agree, the porcupine story is so cool! !